The other day a friend asked, after I had been raving on about the Muster what was it that hooked me so much when I don’t even play an instrument. It’s true, I hum out of tune, I can play the spoons out of key, yet I am an extremely accomplished listener..and therein lies the answer. 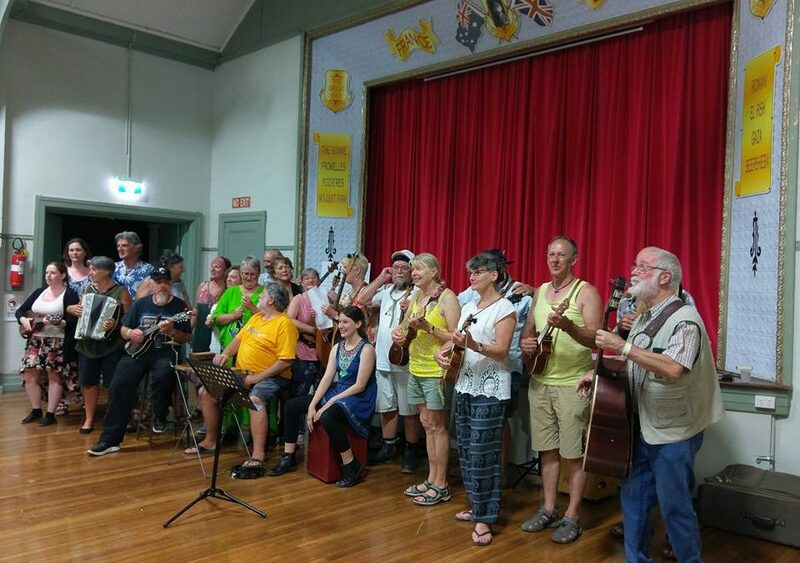 You’ll have heard a lot from members who went to the Girgarre Moosic Muster in January. See who you can spot in these videos. The first is a workshop on Fleetwood Mac’s song “Tusk” – absolutely fantastic! The next video is from a late Sunday night jam where even Alan Blyth was content to play at about half his usual tempo! Everyone’s name is thrown into a hat and drawn out in groups of four – the Girgarre Hat bands. An hour to lear an song and rehearse before getting upon the stage!